As promised in the previous post, I show you my last fabric order from USA. 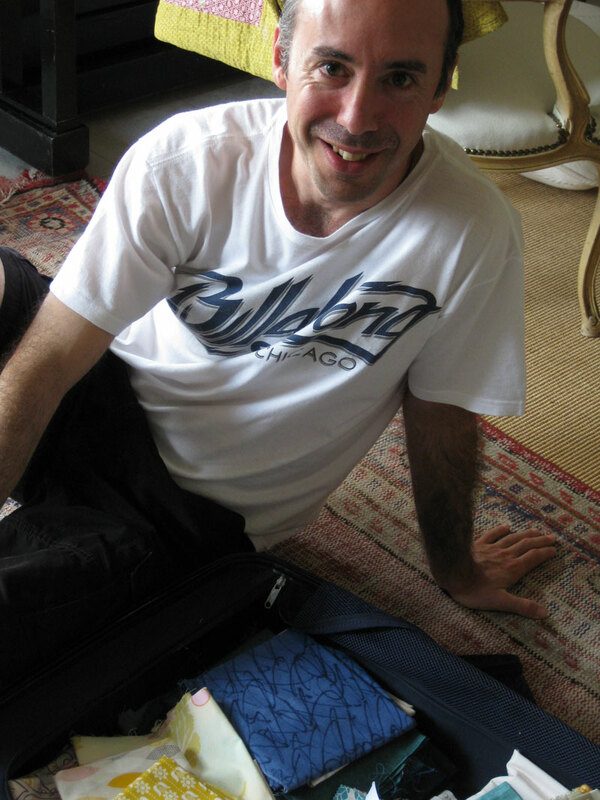 My eldest son who lives in Chicago was so kind to fill half of his suitcase with fabrics for his mother! Thank you so much Bob!! I have here fabrics enough for two queen size quilts and about three or four baby quilts. I am eager to start my new project with the blue hues : a quilt for the 60th birthday of my sister. Those blue fabrics will complete the shot cottons of a previous order. A beautiful Sunday to everyone! An interesting way to do your shopping! What a wonderful gesture from your son! Have fun making your quilts. I look forward to seeing them! Thank you Kris, I will start very soon and post at once! Ah you raised a wonderful son! He really understands your love of quilting! 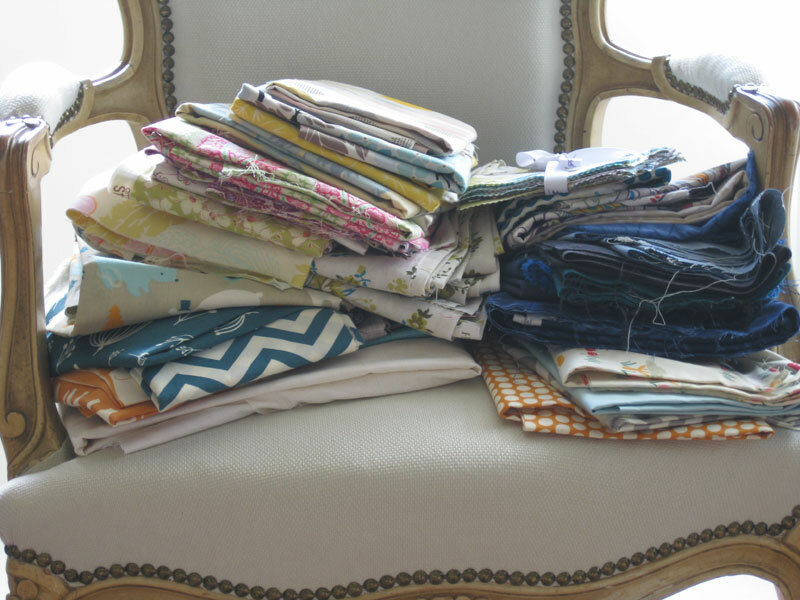 Looking forward to what you do with all these beautiful fabrics! I totally understand your excitement. I live in Poland and after we get back from a trip, after the initial relief that the trip is over, I get to enjoy the fabric I've brought back. It is like Christmas once again! Yes Becky, as you each time I receive fabrics it's like Christmas! Now THAT'S what I call company!! Lucky YOU! 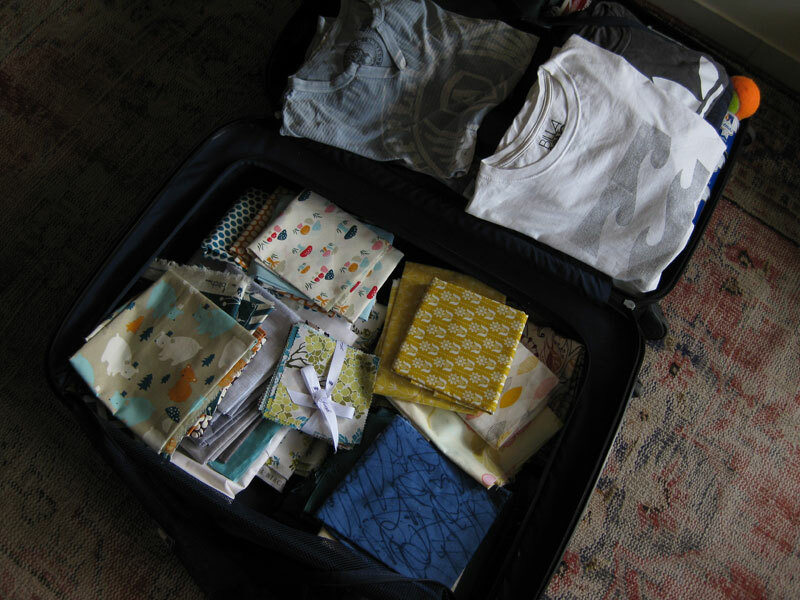 well how fun is that your son comes home to visit and you get a suitcase with lots of fabric delivered!!!! So happy for you! 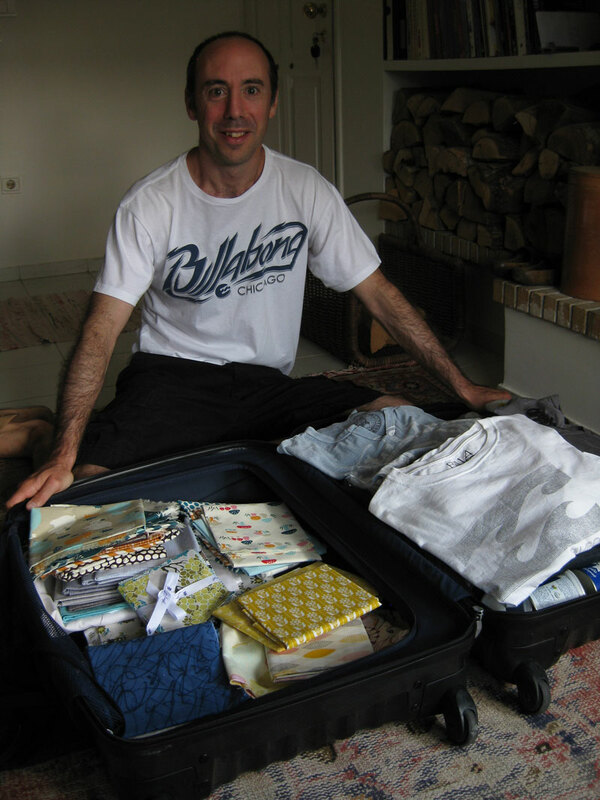 Great to have family or friends abroad who can bring you fabrics. If I know someone from abroad is coming I order on-line, pay for it and have it sent to their address. They take the fabrics with them when they come, and I avoid taxes this way! You must be a wonderful mother to have raised such a good man. Have fun with your family and with the fabric! A great haul! What a thoughtful son! TONS of hugs to your son!!!! I LOVE IT!!!!!!!!!!! This post made my day! Christine - your son is a total doll to do that for his mum! Yay Bob!! !